Faites facilement des petits films de vos photos et partagez les. L'offre gratuite du jour pour PhotoToFilm 3.6.1 était valable le 11 novembre 2017! PhotoToFilm est le compagnon parfait pour ceux qui utilisent des appareils numériques. Avec PhotoToFilm, vous pouvez facilement faire des petits films de vos photos, et les compresser (en utilisant DivX par exemple) afin de mieux partager votre production avec vos amis et votre famille. PhotoToFilm vos permet de donner un aspect professionnelle en quelques clics. Capable de graver les DVDs (Besoin de CopyToDVD). Doesn't even permit HD (720p) let alone FHD (1080p) or UHD (2160p) video production! Far too much detail loss in the produced video as a result. All the rest of the work seems to be license enforcement related and bug fixes and some gui rework but no significant work done on the core operations since 2007 above! Can't even define aspect ratio to wide screen instead of native pixel aspect ratio! even though on pressing Expert mode the Single Frame mode is unchecked. I am unsure but I suspect that opening the log file from the "?" menu may have caused the encoding to stall ... or then again the progress bar has moved but the preview window is what has stalled by the look of it. Doesn't even permit HD (720p) let alone FHD (1080p) or UHD (2160p) video production! Far too much detail loss in the produced video as a result. 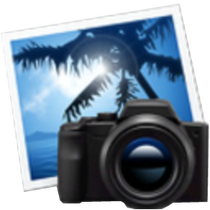 From kyles change log page the last time a resolution was added was: PhotoToFilm - 2.7.2 Released 2007-08-05 0000334: [New Feature] DVD resolution (720 x 480) support (Kyle_Katarn) and the highest resolution offered is 720x576p (I assume non-interlaced) All the rest of the work seems to be license enforcement related and bug fixes and some gui rework but no significant work done on the core operations since 2007 above! Can't even define aspect ratio to wide screen instead of native pixel aspect ratio! Appears to have stalled part way through video generation... and log shows Single Frame mode : Yes even though on pressing Expert mode the Single Frame mode is unchecked. I am unsure but I suspect that opening the log file from the "?" menu may have caused the encoding to stall ... or then again the progress bar has moved but the preview window is what has stalled by the look of it. Thanks but no thanks. I could literally count the pixels in the output video and that was at the highest resolution. If you're not going to make HD available then you may as well toss the program in the garbage like I just did. # 1 - # 4: I NEVER Install a Program from this website BEFORE I read ALL the comments listed here! Thanks for the valuable information you all provide; it is all useful to me! I didn't even install this Program and put Crap in my Desktop Computer!